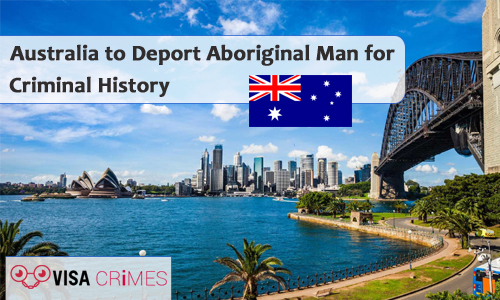 The Australian government is set to deport an Aboriginal man to New Zealand as a result of his criminal record. 30-year-old Brendan Thoms, an Aboriginal man, is fighting deportation to New Zealand by the Australian government. Despite his connections in Aotearoa as well as being an Aboriginal group’s descendant, Thoms finds himself in this situation because of his criminal history. He has since accused Australian government of unlawful act. Based on Australia migration Act character test, Thoms residency was canceled in September after which he was detained in an immigration center. He was earlier sentenced to an 18-month jail term, which he served in part when finding guilty of domestic violence. Thom’s domestic violence conviction is just one of his many convictions. According to reports, Thoms was given birth in New Zealand by a Kiwi father, who later became an Australia citizen and an Australian mother. Brendan came to Australia since age seven but has never become a citizen. His mother equally has proof of connection with Gunggarri people according to report. Thoms’ lawyers have filed for his release and payment of damages for what they tagged wrongful imprisonment. Rod Hodgson, a solicitor, said Australia was wrong to decide to remove Thoms, stating that he has been and worked in the country almost all his life as well as being an Aboriginal man. Hodgson said though Thoms is guilty of the crimes, he claimed sending him to a country he doesn’t even know is too much punishment. Since September, Thoms is the second overseas-born man of Aboriginal descent who have fought Australia’s migration law in the high court.